Invite Shize’s blessings into your life with an exquisitely detailed Shize resin tsa tsa with antique bronze finish. 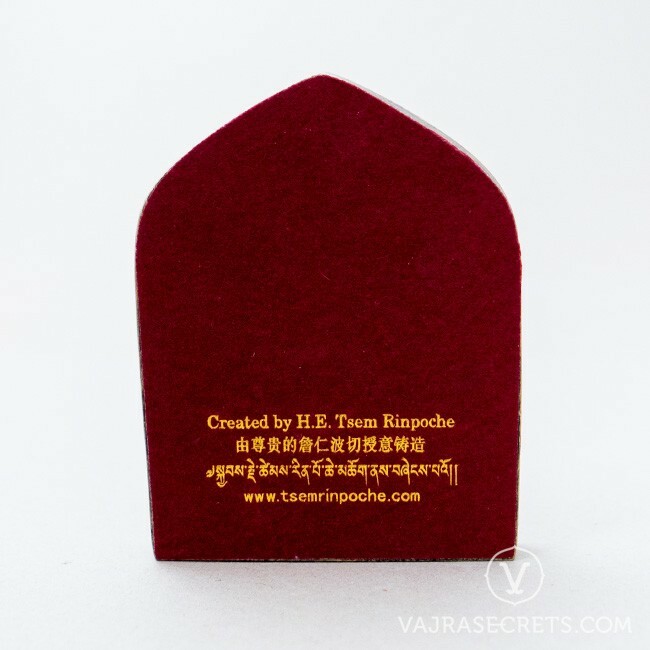 This "pacifying" form of Dorje Shugden is revered by many for his ability to purify one’s negative karma, pacify natural disasters and is excellent for those suffering from serious illnesses. His image also calms the immediate environment, helps overcome life's obstacles, and attracts the positive energies of peace, protection and wisdom. This tsa tsa has been purified and consecrated in a Soongdrup & Rabney ritual conducted by very senior members of the monastic community held in January 2019 at Kechara Forest Retreat. 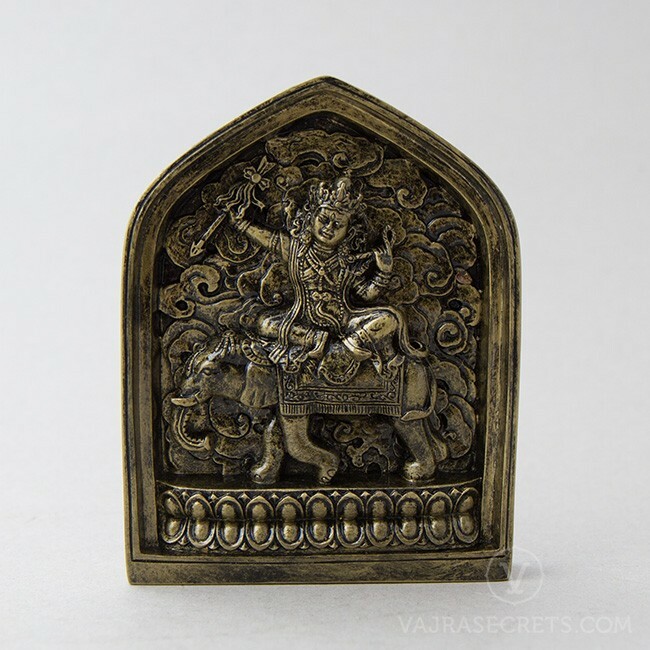 Invite Shize’s blessings into your life with an exquisitely detailed Shize resin tsa tsa with antique bronze finish. 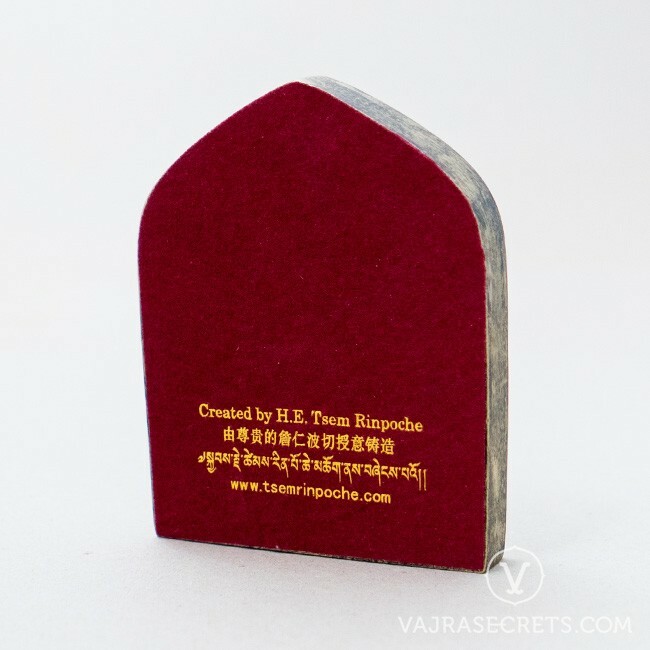 Perfect for smaller shrines, workstations and portable travel altars. 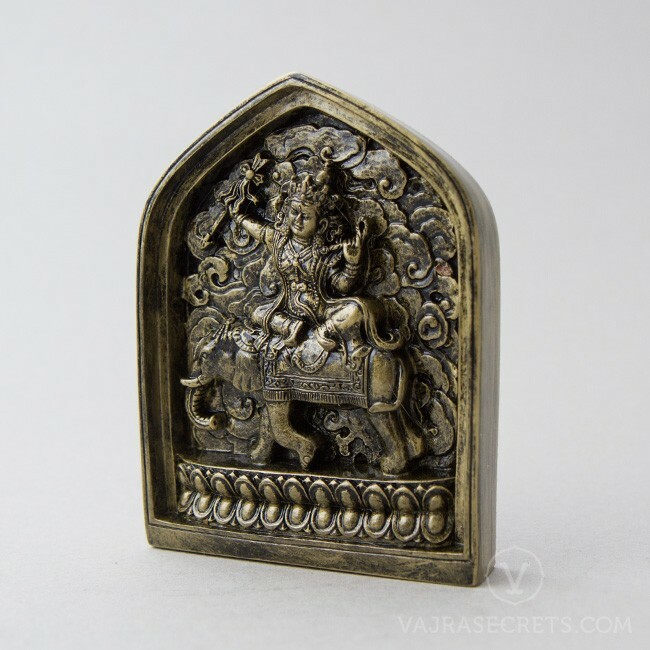 Also known as Vairochana Shugden, this "pacifying" form of Dorje Shugden is revered by many for his ability to purify one’s negative karma, pacify natural disasters and calamities, and is especially efficacious for overcoming illness and disease. With a body that is pure white in colour, Shize holds a five-coloured arrow adorned with a mirror in his right hand, while his left carries a noose, symbolic of his ability to bind our negativities that cause suffering. Adorned with flowing white robes of silk, he rides the King of Elephants, symbolic of mental strength and steadfastness.